Climbers are backlit by the sunrise. With the rising of the equatorial sun, the undercast clouds climbed the slopes of Kilimanjaro and slowly enveloped us in an eery mist. We had begun our summit push about an hour before dawn, a line of bobbing headlamps weaving through the sleeping camp at Barafu, 15,200′ above sea level. Now, as we ascended past 17,000′, pole pole (slowly, slowly), I was beginning to really feel the altitude. Despite six days of acclimatization and hiking along the Lemosho Route, all five of us were quietly focused on each slow step along the steep and winding switchbacks up toward the rim of Kilimanjaro’s volcanic crater; step, breathe, step, breathe. A few trekkers were already descending – those who rose at midnight to make their entire summit push during the moonlit night, jubilant from reaching the summit – and those who looked quite pale and were gingerly being led down by a guide holding each elbow. 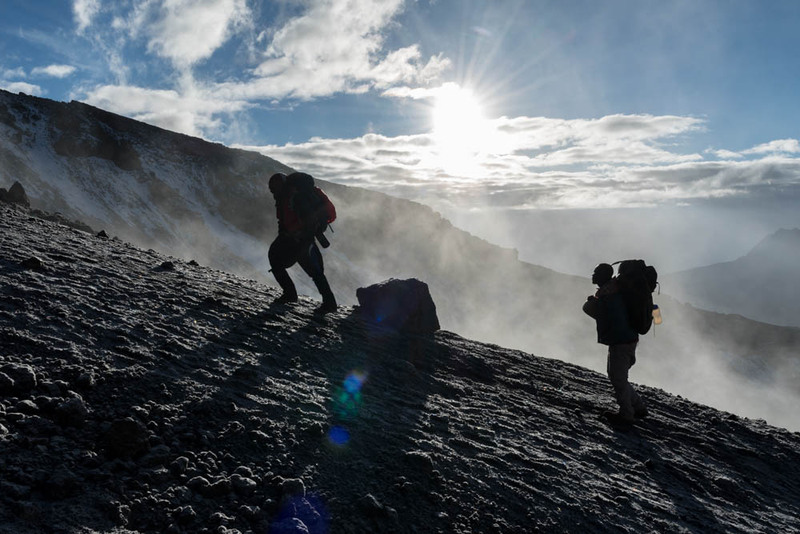 The altitude affects everyone differently, and the sick have to descend quickly. We pushed on, hoping for clear skies at the summit and for weather good enough to stay overnight in the crater as planned. But I get ahead of myself. This 11-day trip, including 9 days on the mountain, is a long story. As you read the trip description below, be sure to check out the photo galleries of the trek, of our two days pre-trek, of the flora and fauna, and of night skies on the mountain. 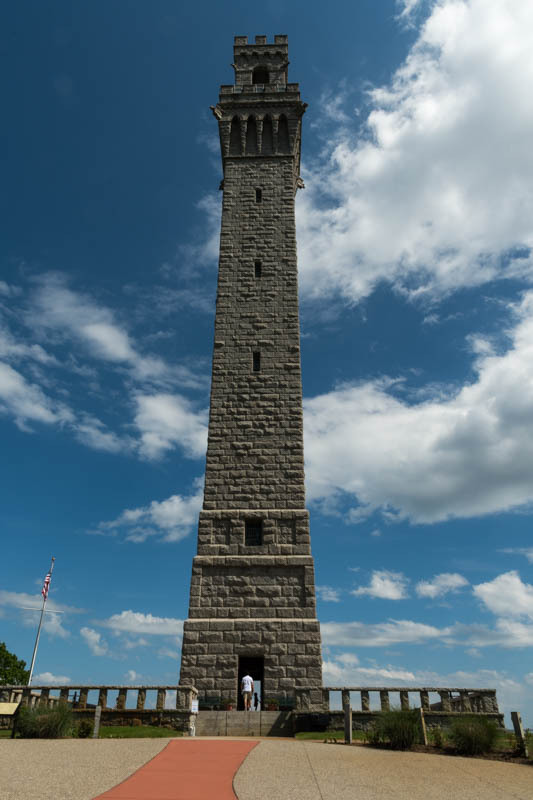 Pilgrim Monument, Provincetown, Cape Cod. We spent our 25th wedding anniversary on Cape Cod, mostly in Provincetown. Beautiful weather, a nice bike ride, and a chance to explore the town. Plus a stop at the historic Marconi wireless telegraph station; see the photo gallery. On a warm day in early June, I joined Aarathi and Shrirang for a traverse of Franconia Ridge from Lincoln Woods to Lafayette Place, summiting Flume, Liberty, Little Haystack, Lincoln, and Lafayette. 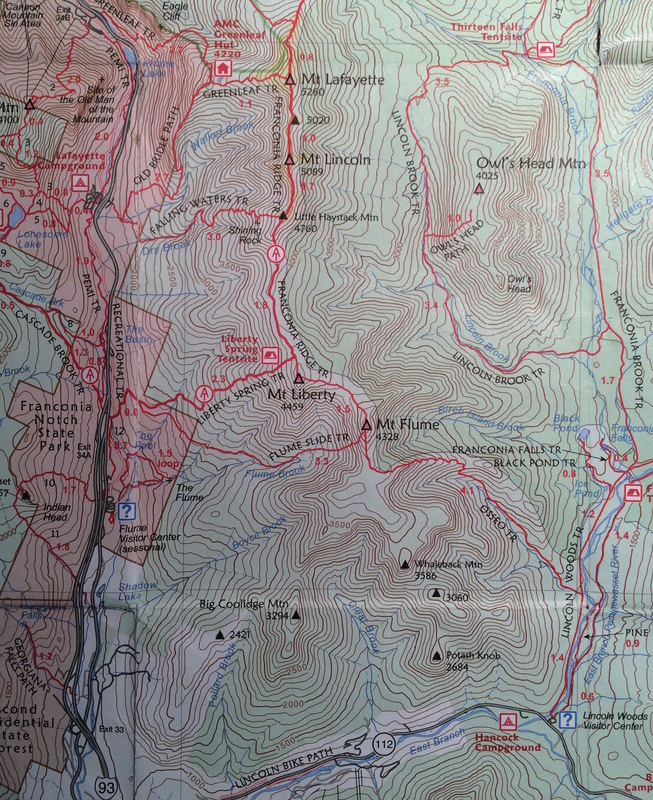 Total 14.5 miles, 5325′ of vertical gain, 10.5 hours, 258 photos. A beautiful day! The alpine flowers were blooming, the sun was shining, and the wind was cool. The only downside is that several hundred other hikers also realized it was a great day to hike Franconia Ridge! Check out the photo gallery on SmugMug. 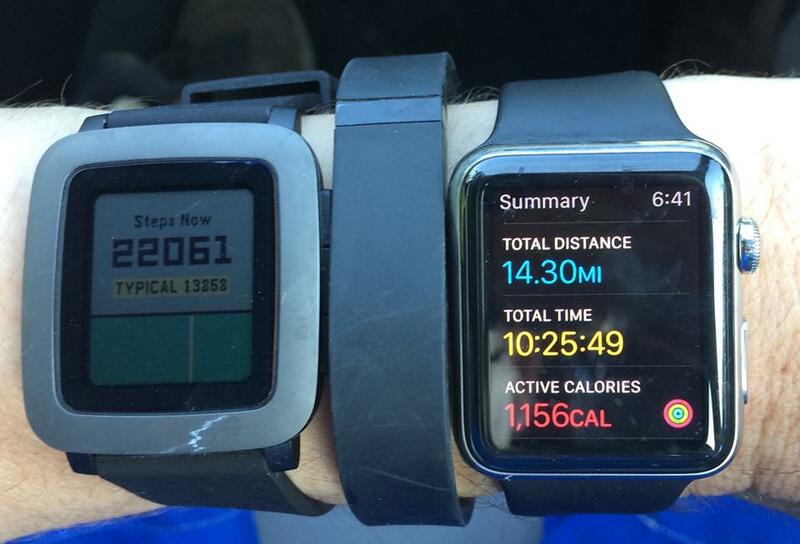 Pebble Time, Fitbit Flex, and Apple Watch. I also decided to test four activity trackers on this hike: iPhone 5s (i.e., Apple Health app), Fitbit Flex, Pebble Time, and Apple Watch 42mm. I left all four devices in their charger overnight. As I left the house, I put all three trackers on my left arm. I did almost no walking until reaching the trailhead. At the trailhead, I put the iPhone in Airplane mode, enabled Bluetooth, and stored it in a shoulder-pad holster (thus attached to torso). All three trackers had Bluetooth enabled. At the end of the hike, I checked status of each device. Fitbit Flex: 30,572 steps, 14.04 miles, 3394 cals, 5h5m active; battery 100%. Pebble Time: 22,073 steps, 12.4 miles, 2233 cals, 3h35m active; battery 90%. Apple Watch 42mm: 32,449 steps, 14.30 miles, 1156 active cals, battery 7%. Apple Health (iPhone 5s): 32,354 steps, 14.71 miles, battery < 20%. Apple Health (via Watch? I’m not sure) counted more steps, but close to the Fitbit. Watch and Fitbit had the best distance estimate. Fitbit had best battery life, followed by Pebble.